Just two weeks ago, it was uncertain whether the Miami Hurricanes would even finish in the top half of the ACC standings. Now, the team has officially earned a No. 3 seed and a double-bye in the ACC Tournament, which starts next Tuesday, March 6, in the Barclays Center in Brooklyn, New York. No. 11-seed Syracuse will face off against No. 14-seed Wake Forest at 7 p.m. March 6. The winner of that game will play No. 6 North Carolina the following night at 9 p.m. Then the winner of that matchup advances to play Miami in the quarterfinals at 9 p.m. Thursday, March 8. After completing its season with a nail-biting 69-68 win over Virginia Tech, which came into the game with the same conference record as the Hurricanes, Miami recorded a conference record of 11-7, finishing in a four-way tie for third place in the ACC with Clemson, North Carolina State and North Carolina. The Canes, who finished with a 22-8 overall record on the season and are now ranked No. 24 by the AP, won the tiebreaker against all three teams based on a 2-1 collective record against them head-to-head. 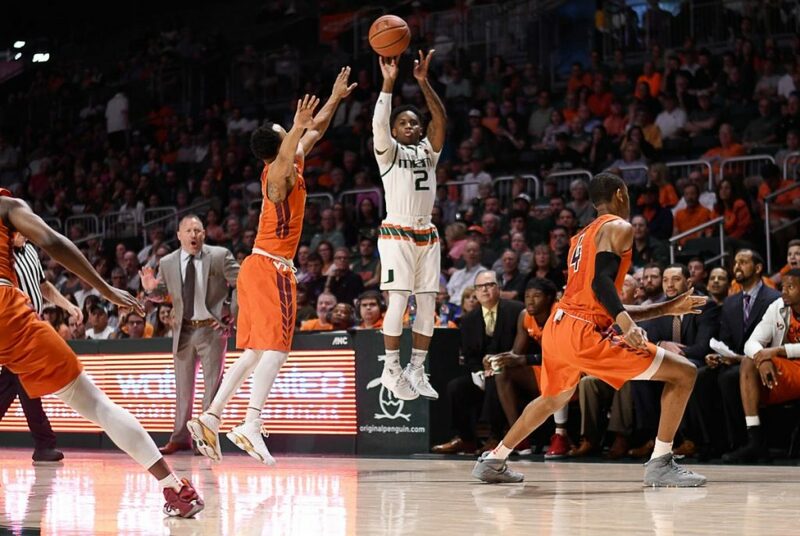 In the matchup against the Virginia Tech Hokies, the Hurricanes were down 68-66 with 1:13 remaining in the second half before a mid-range jumper by freshman Lonnie Walker IV to tie it and the free-throw by freshman Chris Lykes to win it with just three seconds left. At that point, they just needed a North Carolina loss to Duke to secure a top-four seed. They got something even better – a North Carolina and a Clemson loss – which earned them the No. 3 spot. 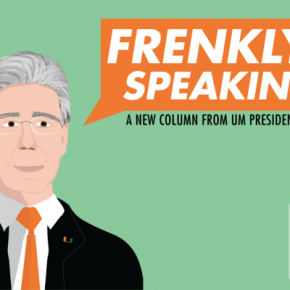 The UM win against Virginia Tech marked its fourth consecutive contest that was decided by three points or fewer, tying a record last set by Duke in 1984. The Canes won all four. This is the third time Miami has locked in a top-three seed in the ACC Tournament since Larrañaga’s arrival seven years ago. His team holds a record of 8-5 in the tournament during that span.